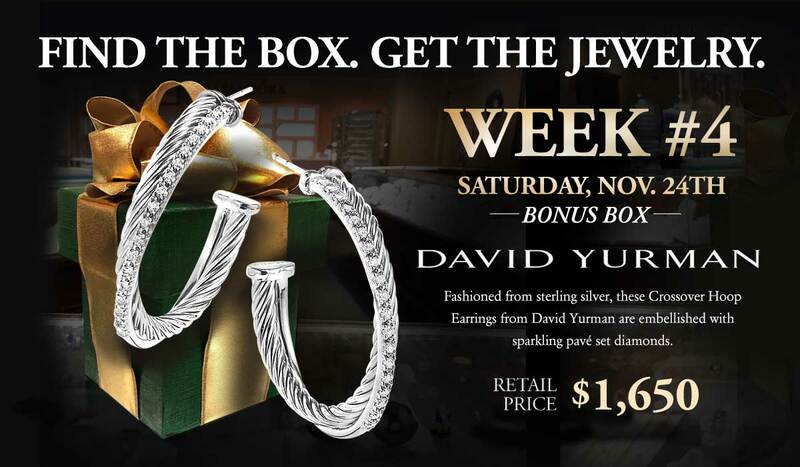 Due to the excitement regarding David Yurman and this being first time that we’ve had them in the Green Box Giveaway, we’re doing a bonus box for this weekend. Our bonus giveaway is a $1650, David Yurman sterling and diamond set of earrings from the Crossover Collection. David Yurman is one of the nation’s top jewelry designers and Windsor has thousands of pieces in stock in our store. We have sterling and gold jewelry, for women and for men. This piece is fashioned from sterling silver and it’s from the Crossover collection. ***Update*** this box has been found. #1 Clue, Saturday Nov. 24th :: Let’s jump to the crescendo. According to the North Augusta Star, the Natatoruim in North Augusta had an orchestra that would performed for the bathers. We wondered what it would be like to swim to an orchestra. #2 Clue, Sunday Nov. 25th :: Featuring that which could save it. The Natatorium caught fire in 1904 and burned to the ground. #3 Clue, Monday Nov. 26th :: Soaring over reflections. The Natatoruim featured a double trapeze. #4 Clue, Tuesday Nov. 27th :: Men this way, women that way. There were seperate swimming ares for men and women. #5 Clue, Wednesday Nov. 28th (in-store clue) :: From above, yet behind what is noted with blue. The most easily accessbile public area to Crystal Lake is the greenway that is nearby the entrance to Hammond’s Ferry. The tree off the greenway had a blue ribbon where the box was hidden. #6 Clue, Thursday Nov. 29th (not yet released) :: From up a hill, I would have seen many towels on trolleys. 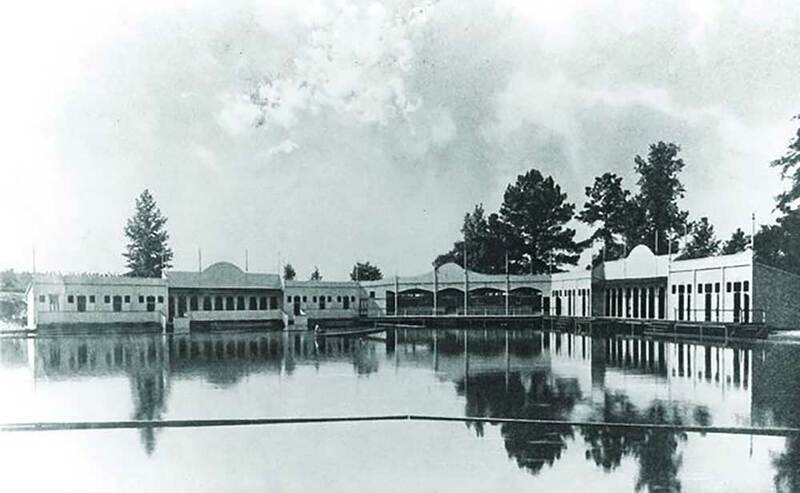 In 1897, Jackson added trolleys to North Augusta that provided transportation between Augusta and the Natatorium in North Augusta.